Argentine referee Nestor Pitana will take charge of Thursday's opening World Cup match between hosts Russia and Saudi Arabia in Moscow, FIFA said on Tuesday. Assisting him at the Luzhniki Stadium will be compatriots Juan Pablo Bellati and Hernan Maidana, with Sandro Ricci from Brazil designated as the fourth official. 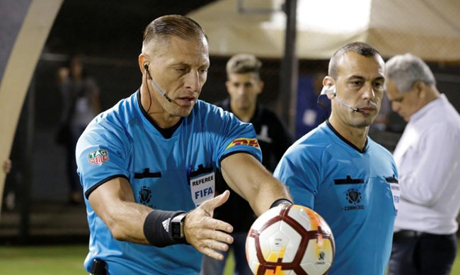 The Video Assistant Referee team, being used at a World Cup for the first time, is composed of Massimiliano Irrati of Italy (VAR), Mauro Vigliano of Argentina, Carlos Astroza of Chile and Italian Daniele Orsato. Pitana, who has been an international referee for eight years, will be on duty in his second World Cup after officiating in four games in 2014.